‘Right First Time‘ is a key factor in the success of any project. As part of its quality management process, Crossrail developed a quality dashboard with meaningful metrics that enabled trend analysis and informed decision making to rectify problems and prevent recurrence. This learning legacy page describes the content of the quality dashboard giving explanation of the reporting areas and key metrics and targets utilised. Performance of the Crossrail team and the supply chain in getting things right first time (RFT) is considered vital to the success of Crossrail. Failing to perform affects cost adversely, causes delays to the programme and impairs the quality of the delivered railway. Prior to commencement of construction it was realised that a robust ‘quality’-related reporting process with a meaningful set of metrics which were common to all construction contracts was required. This resulted in the development of the quality dashboard which has been issued on a periodic (4 weekly) basis since construction started. It offers a clear and concise set of performance data, for the Crossrail team and Tier 1 Contractors, which is utilised to identify areas of weakness, key issues and also high performance. This enables management to identify trends and make informed decisions to rectify problems, prevent their recurrence and provide a platform to help drive continual improvement. The content of the quality dashboard with explanation of the reporting areas and key metrics and targets utilised are described below. There are two Corporate Quality Key Performance Indicators and four Right First Time Metrics. Inspection and Test Plans are the cornerstone of the assurance regime on Crossrail. They are a key planning tool considered equally as important as a Method Statement and are essential in helping ensure that the programme is built ‘Right First Time’ and are able to demonstrate by certifying the Works that they have been built correctly. This metric measures the number of incidents where there was no accepted Inspection and Test Plan (ITP) in place for the actual or planned start of work. An incident where the planned start of work has been delayed due to an ITP not being in place will also be counted within this metric. An accepted ITP is defined as having an ITP in place before the commencement of a new activity that has been coded either Code 1 or Code 2. The target for this metric is zero incidents. Recent construction industry estimates of the cost of rework put the direct cost in the region of 3% of total contract value for building projects and 12% for civil projects . This would be an estimated amount of £400M for Crossrail which equates to the cost of a new station. In an attempt to focus minds on the cost of not getting it ’Right First Time’ a system for capturing costs of rectifying each non-conformance, the cost of rework was developed. This metric measures the partial cost of rework in a period divided by the Actual Cost of Works Performed (ACWP) in the period, expressed as a percentage. The partial cost of rework is defined as the cost of extra work performed to rectify a non-conformance. It is termed ‘partial’ because the true cost of the extra work can sometimes be impossible to quantify and/or it excludes certain factors. The target for this metric is below 5% for Systemwide and Stations and Other Contracts and below 0.50% for Bored Tunnels. Category 1 NCRs are to be individually reported for review. Observations are defined as site monitoring / surveillance of the work in progress, as witnessed by members of the Crossrail Field Engineering Team, in order to assure that the works are being completed as specified. The number of Observation activities completed depends on the scale and complexity of current activities. An average of 500 No. observations have been completed by a team of 120 Field Engineers on a periodic (4 weekly) basis. This metric measures the number of satisfactory observations of the work in progress, as witnessed by members of the Delivery Team. Observations are defined as a site observation of the work in progress in order to assure oneself that the works are progressing in a satisfactory manner such that the product requirements will be achieved at inspection. In other words, observations are a means to assess the capability of the Contractor(s) to achieve the required quality right the first time. The target for satisfactory observations is 90%. The works being observed are deemed to be “SATISFACTORY”. They comply with the Works Information, drawings, standards, and ITP. NO NO 0.5 pt The works being observed are deemed to be “UNSATISFACTORY”. They generally comply with the Works Information, drawings, standards, and ITP, BUT there are minor defects that need to be corrected. No NCR required. The works being observed are deemed to be “UNSATISFACTORY”. They DO NOT comply with the Works Information, drawings, standards, and ITP. NCR required and raised for major defects found. The total score is the sum of scores achieved for the observations in a period, and the total number of observations that were performed in that same period. It is very important that errors in workmanship are reported, allowing them to be dealt with in a controlled, transparent and efficient manner, rather than being swept under the carpet. Contractors who do raise them ahead of the Crossrail team are applauded. This metric was established to help drive the correct behaviours on the project by encouraging Contractors to raise NCRs when a mistake/issue happens. This metric measures the percentage of Non Conformance Reports (NCRs) that were first raised by the Contractor. 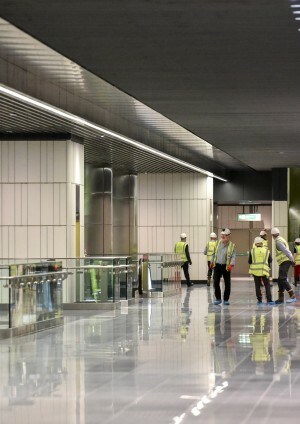 NCRs first raised by the Contractor are defined as those NCRs that were initiated by a member of the Contractor’s team for a defect found, before that defect was observed by a member of the Crossrail team. The target for Non Conformance Reports is 95%. Crossrail is building two railways, the physical and the digital railway. The Programme Delivery Agreement (PDA) requires that Crossrail is progressively assured as it is built. Certification documents (of which there are over 3000) are the key deliverables that demonstrate assurance of the railway. Therefore monitoring production and acceptance of certification packages make this KPI extremely important. This metric measures the certification packages to be submitted and accepted within 60 days from the forecast submission date. Target is 90% of packages to be accepted on time. Each package has a forecast submission date and an automatic acceptance date of +60days. Any package accepted on or up to the target date is ‘On time’ and any package which is not accepted by the target date (>61 days) is ‘not on time’. The target for the Corporate Quality Key Performance Indicator is 90% of packages to be accepted on time. 33 packages are due for acceptance within Period 9. 32 packages were accepted on or prior to their target date. 1 package was accepted five days late. Therefore the KPI result for Period 9 is 32/33 (97%), which is above the target. The cumulative results are 404 packages due from P1-P9, 380 accepted on time. The cumulative total to date would be 380/404 is 94%. Corrective Action Requests (CAR’s) are raised during internal (Crossrail ) Audits and Supply Chain – Contractor audits. They are raised as a result of a deficiency in contractual or procedural requirements. Each CAR requires action to be taken within agreed timescales to rectify the deficiency and to prevent its recurrence. This metric measures the number of Crossrail raised audit Corrective Actions Requests (CARs) closed within the due date. The target for the Corporate Quality Key Performance Indicator is 90%. 196 CARs due for closure between P1-P9, 172 CARs were closed within their due date and 24 CARs were overdue. The cumulative metric would be 172/196 (88%), which does not meet the target of 90%. What is the Benefit to Future Projects? Future projects will be able to leverage the existing best practice metrics and targets to optimise delivery and tracking. The data collected on performance will be comparable against the metrics collected for Crossrail to identify opportunities for improvement. 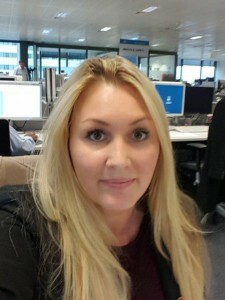 Caroline Walker is the Right First Time and Reporting Manager at Crossrail. She is responsible for the development and timely production of quality reporting at programme level and generates metrics and reports which measure project performance. These include KPIs for Quality, Rework and Right First Time. Caroline is also involved in the Contractor Performance Assurance Assessments and initiatives such as World Quality Week, Spot-On and People Based Quality. Caroline started her career in the Telecoms industry and moved over to Infrastructure which has given her 12 years of project and functional experience. Caroline has been with Crossrail since June of 2015.